Nickel Plate Arts partner Meyer-Najem has transformed the second story of their beautiful new Fishers building into a bright, modern, open space, perfect for featuring the contemporary works of our local artists. With a passion for supporting the local arts community, Meyer-Najem will host art exhibits viewable to the public from 8am - 5pm, Monday - Friday. For the months of April-June 2019, Nickel Plate Arts is excited to bring HCAA juried artist Kristina Oliver into this art space. 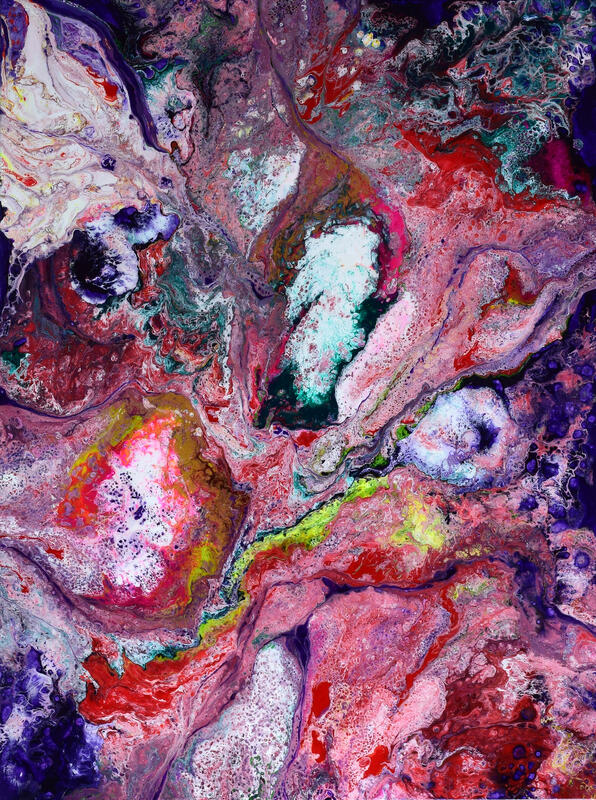 Kristina creates award-winning abstract art at her home studio in Central Indiana. She has solo exhibited, as well as had individual pieces in galleries and exhibits throughout the U.S. Her paintings are also part of private collections both in the States and Canada. She uses modern non-traditional techniques to create one-of-a-kind acrylic based originals. 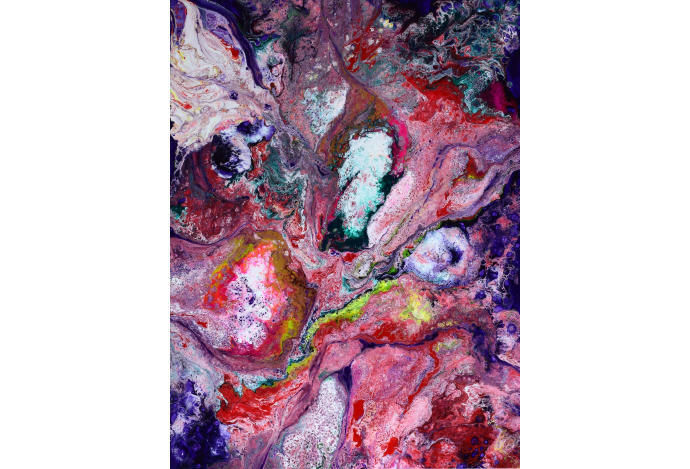 Many of her paintings incorporate resin and are multi-layered. Kristina is a Juried Artist Member of the Hamilton County Artists' Association (HCAA) and also serves on the board of this non-profit arts organization. Additionally, she is an artist member of several other art organizations and is represented by the Laguna Art Gallery of Laguna Beach, CA. More of Kristina’s artwork can be viewed on her website kristinaoliverart.com and she can be followed on Instagram and Facebook @KristinaOliverArt.